The pre-inauguration rally began at 6:00 p.m. and was streamed live at the liberal website Moveon.org. The event featured speeches from political figures including New York Mayor Bill De Blasio and Minneapolis Mayor Betsy Hodges and actors Alec Baldwin, Robert De Niro, and Mark Ruffalo. 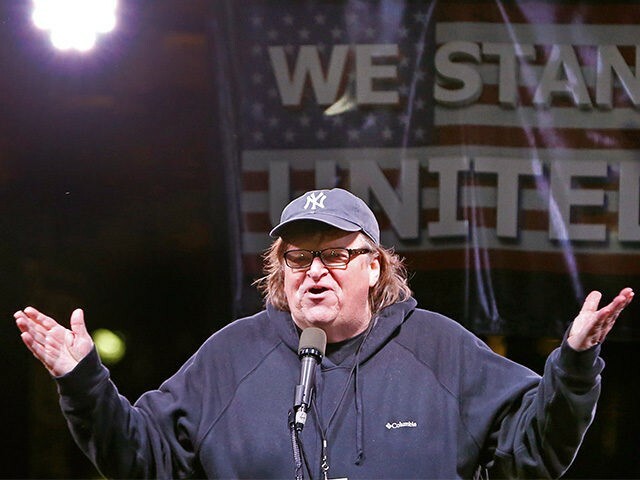 Moore tweeted details for the #WeStandUnited NYC Rally and a link to the live stream. Crowd is gathering! NYC Anti-Trump rally, 6pm, Trump Hotel on Columbus Circle! Join me, Robert DeNiro, Sally Field, Alec Baldwin, Cher, YOU! Other celebrities who joined the protest included Marisa Tomei, Sally Field, Julianne Moore, Cher, Cynthia Nixon, Natalie Merchant and Shaliene Woodley. “If your rep is a Democrat, tell him/her you expect them to AGGRESSIVELY fight the Trump agenda — and if they don’t, you will work with others to support a true progressive in the Democratic primary in 2018,” Moore added. Echoing his previous calls to protest Trump, Moore urged the crowd to join him in his “100 days of protest” against Trump. Before introducing Mayor de Blasio, De Niro read fake tweets he said he expected to see from Trump following his appearance at the rally. “Trump is a bad example of this country, this city,” De Niro said. Baldwin performed his now-famous Trump impression from Saturday Night Live and encouraged the protesters to fight the incoming administration. MSNBC anchor and leftwing activist Al Sharpton also addressed the crowd. The rally ended with a rendition of “This Land is Your Land,” which included Cher and was led by singer Natalie Merchant.